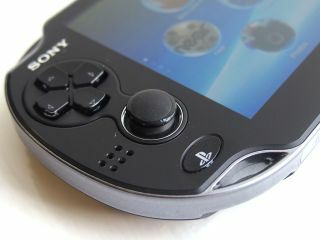 PS Vita - the second biggest launch of the week? Just when you thought the PS Vita was going to be the most important launch in the gaming week, we decided we'd come and steal all of the thunder by offering up our brand-new look back at the last seven days in gaming. True, we can't boast dual-joysticks or an OLED screen, but on the bright side we're not going to try to convince you that a rear touchscreen is a good idea. PS Vita - After a couple of firmware updates, we decided to completely overhaul our PS Vita review ahead of the UK and US launch this week; unsurprisingly we decided that this is definitely very, very good for gaming, which is presumably the main tick box checked. We also found time to get the PS Vita video review up, in which we cheerfully tell you that nobody else can reach the middle of the screen when holding it properly either. And because we have no truck with the adage about leaving people wanting more, here are some of the finest gaming features from our Future friends at GamesRadar, CVG, ONM, OPM and OXM. Picture: PS Vita's midnight launch this week. Xbox Live update: what's new this week?